One of the houses I lived in as a boy growing up was located just above the home and grocery store of Mrs. Helena Peterson born Every. As a form of politeness a married woman or a widow for some unknown reason was addressed as “Miss.” She was the most enterprising woman of her day. 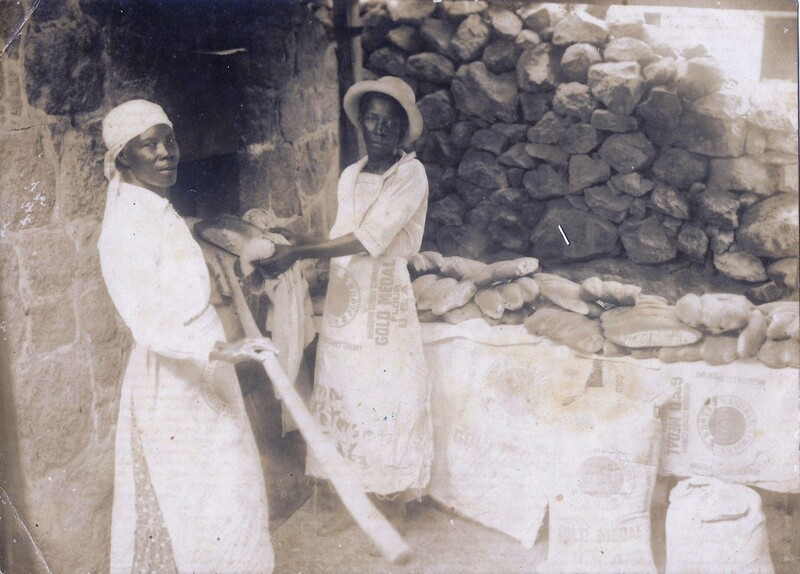 She had a bakery as well as the grocery store and employed part time some sixteen people. She was the agent for Gold Medal Flour. 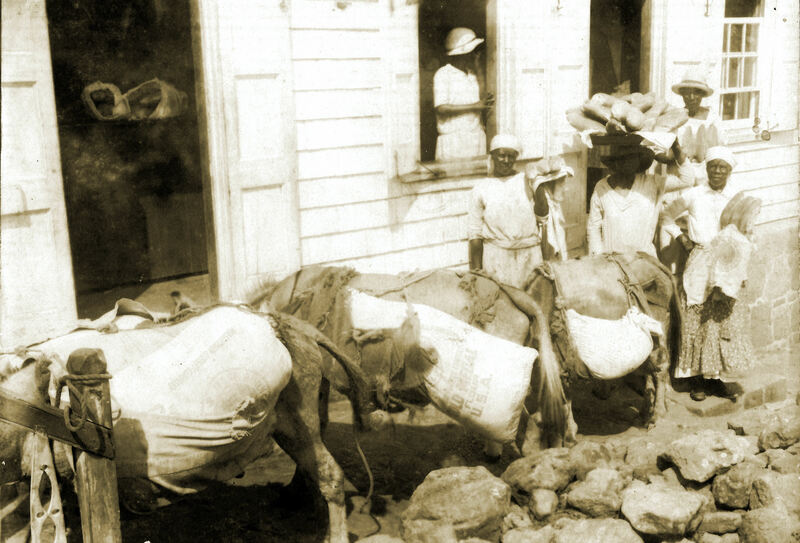 Her employees consisted of wood gatherers for the bakery, donkey conductors for transporting goods from the Fort Bay, bakers and housemaids. 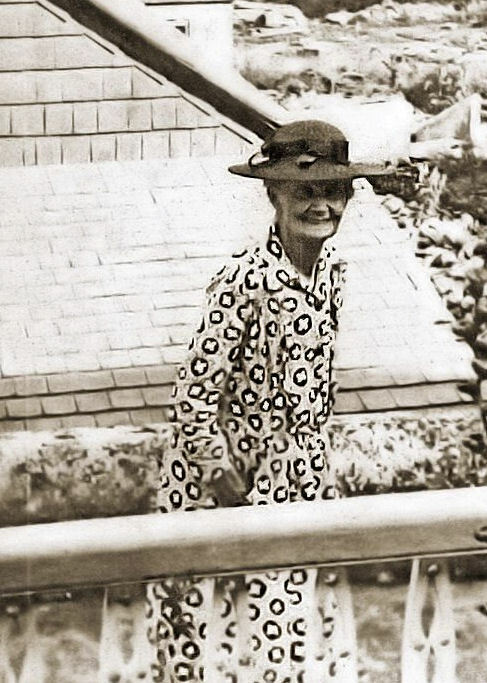 She was mostly in the grocery assisted by her daughter Florence or “Titta”. I used to hang around her house after school and would run an errand or two for her. She took a liking to me as when she offered me a sweet as we called candy, I did not show much interest. I remember Allan Busby telling me once that Mr. Diederick Gibbs from Statia had promised to send him one of those big jars with those large striped candies. He told me “Never promise a child anything if you do not intend to comply.” Allan told me that for months he would be looking at every sailboat, cargo ship or tanker passing Saba and in his mind’s eye he saw his large jar of candies coming his way, but he is my age and still no candies from Statia. And mind you his mother Daphne Busby was from Statia. Miss Helena did not make me any promises. However once when she went to St.Kitts on one of her banking trips she brought me back a small pocket knife with a handle full of flowers. If she had brought me the whole of St.Kitts it would have meant less to me than that small pocket knife which we called a pen knife. I was the envy of all the boys in the village including Busby who from English Quarter was on a constant look out in the hope that his shipload of candies would come in one day. They never did. I never knew that Miss Helena had a son. She never discussed him. I also did not hear anyone else in the village ever saying that she had a son. It was only years later when the late Henry Every was studying in Holland for lawyer, that I heard that his cousin Miss Helena’s rich son was helping to finance his studies. Also I heard that the Anglican Church in Windwardside had received a substantial donation from him to fix the church roof or buy an organ for the church and so on. Being so close to Miss Helena I started to wonder how come she had never mentioned a word to me about this son in the United States. I later learned that when he was around fourteen years old that she and him had a major confrontation over a private family matter. This is not relevant to this story. He took leave of his mother never to return to Saba and never to reconcile. He went to stay by an aunt in Rhode Island and went to Brown University from which he graduated. He then started to work for the Chase Bank owned by the Rockefeller family and worked himself up to Vice President in charge of loans. It is there that he came in contact with the owners of the Cargill company who took a liking to him. John G. Peterson 91; Ex-Chairman of Cargill Inc.
And to think, that a little boy from Saba used to run all of that! The company is the second largest privately owned company in the world, owned by the Cargill and MacMillan families. In its 140 years of existence Mr. Peterson was the only non family member to run Cargill. Here is how it happened: “Cargill also nearly went under following the 1929 U.S. stock market crash, and ensuing Great Depression. There is not a word of what happened to Cargill Co. during the depression in the History of Cargill, 1865-1945. But two forces came to the rescue: John D. Rockefeller’s Chase National Bank, which sent its officer John Peterson to help run Cargill. Peterson became Cargill’s top officer. The other force was a Byelorussian Jewish grain merchant, Julius Hendel, who joined the company in the late 1920’s. It would seem odd that a European, and a Jew at that, would be admitted into the inner councils of rock-ribbed Scottish-American firm, but this indicates the international scope of forces that shape the grain trade. Some years ago I received a call from his son John Jr. who came to Saba in search of family history and to find out about his grandmother. I told him to meet me at Scout’s Place. When he walked in I could immediately see the resemblance between him and the Every family. I told him about his cousin Mrs. Barbara Kassab Every on St.Kitts. He visited her as well and they still have contact. He was interested in buying or building a house in Oyster Pond on St.Maarten. I told him to look up Allan Busby which he did and he had a house built there. I have not heard from him the last years, but I assume that he is still in the land of the living. And to think that a boy who ran away from Saba did all of that. My uncle Stanley Johnson (husband of my aunt Alice Simmons) told me that Commodore Tom Simmons of Saba who was Captain of the ship the “Argentina” swears that he saw him once and had the following exchange. They were passing Saba. It was customary that when a Saba captain would pass the island he would blow the ships horn a few times. The man leaning over the rail on seeing the captain said to him:” Which island is that?” The Captain answered: “Saba.” And then the Captain said to him:”Don’t you think it’s time that you went home and saw your mother?” According to Uncle Stanley, the man gave the captain a startled look and walked off mumbling something under his breath. John G. Peterson never did return to Saba but recognized his island through contributions to his Anglican church and his family. He never knew his father as his father William Simmons Peterson was lost at off Cape Hatteras when John better known as “Ned” was a little boy. And so we salute this great son of the soil.